This Statement is effective as of January 8, 2014. Your privacy is important to ITTA and maintaining your trust is paramount to us. This Statement discloses the information practices for ITTA and our affiliates’ Web sites, from what type of information about our Web sites’ users is gathered and tracked, to how the information is used, shared or otherwise processed offline. It also describes how cookies, web beacons and other technologies may be used in our offerings and products. This Statement applies to ITTA Web sites that link to this Statement but does not apply to those ITTA Web sites that have their own Privacy Statement. Additionally, it does not apply to instances where we merely process data on behalf of clients for their benefit, such as when we act as a web hosting service provider. You may choose to give us personal information directly in a variety of situations. For example, you may want to give us your name and contact information to communicate with you, to order a product, to process an order, to register for a service, to provide you with a subscription, or to do business with us if you are a supplier or a business partner. You may also provide your credit card details to buy something from us or may share a description of your education and work experience in connection with a job opening at ITTA for which you wish to be considered. If you tell us that you do not want us to use your information to make further contact with you beyond fulfilling your request, we will respect your wishes. We may also collect information relating to your use of our Web sites and SaaS offerings through the use of various technologies. For example, when you visit our Web sites or access our SaaS offerings, we may log certain information that your browser sends us, such as your IP address, browser type and language, access time, and referring Web site addresses, and we may collect information about the pages you view within our sites and other actions you take while visiting us. In addition, some of our software products include technologies that allow ITTA to collect certain information about product use. We may also use such technologies to determine whether you’ve opened an e-mail or clicked on a link contained in an e-mail. Collecting information in this manner allows us to collect statistics about the usage and effectiveness of our Web sites, our software products and our SaaS offerings, personalize your experience and tailor our interactions with you. For details regarding the technologies we employ, see Cookies, Web Beacon and Other Technologies below. The following paragraphs describe in more detail how ITTA may use your personal information. If you request something from ITTA, for example, a product or service, a callback, or specific marketing materials, we will use the information you provide to fulfill your request. To help us do this, we may share information with others, for instance, ITTA’s business partners, financial institutions, shipping companies, or postal or government authorities, such as Customs authorities, involved in fulfillment. In connection with a transaction, we may also contact you as part of our customer satisfaction surveys or for market research purposes. The information you provide to ITTA, as well as the information we have collected about you indirectly, may be used by ITTA for marketing purposes. Before we do so, however, we will offer you the opportunity to choose whether or not to have your information used in this way. You may at any time choose not to receive marketing materials from us by following the unsubscribe instructions included in each e-mail you may receive, by indicating so when we call you, or by contacting us directly. Some of our offerings may be co-branded, that is sponsored by both ITTA and third parties. If you sign up for these offerings, be aware that your information may also be collected by and shared with those third parties. We encourage you to familiarize yourself with their privacy policies to gain an understanding of the manner in which they will handle information about you. In connection with a job application or inquiry, whether advertised on an ITTA Web site or otherwise, you may provide us with information about yourself, such as a resume. We may use this information throughout ITTA in order to address your inquiry or consider you for employment purposes. Unless you tell us not to do so, we may keep the information for future consideration. Certain online transactions may involve you calling us or us calling you. They may also involve online chats. Please be aware that it is ITTA general practice to monitor and in some cases record such interactions for staff training or quality assurance purposes or to retain evidence of a particular transaction or interaction. ITTA may make available mobile applications for download from various mobile application marketplaces. ITTA provides social computing tools on some of its Web sites to enable online sharing and collaboration among members who have registered to use them. These include forums, wikis, blogs and other social media platforms. We may also use or share your information to protect the rights or property of ITTA, our business partners, suppliers, clients, or others when we have reasonable grounds to believe that such rights or property have been or could be affected. In addition, we reserve the right to disclose your personal information as required by law and when we believe that disclosure is necessary to protect our rights, or the rights of others, or to comply with a judicial proceeding, court order, or legal process served on our Web sites. If you represent an ITTA Store business partner, you may visit ITTA Web sites intended specifically for ITTA business partners. We may use information provided on that site to administer and develop our business relationship with you, the business partner you represent, and ITTA business partners generally. For instance, this may involve using your information to send you details of ITTA business partner programs. It may also include sharing certain information with other business partners (subject to any confidentiality obligations that may exist), or ITTA customers or prospects. In connection with a particular transaction or program, we may also contact you as part of customer satisfaction surveys or for market research purposes. If you represent an ITTA supplier, you may visit ITTA Web sites intended specifically for use by ITTA suppliers. We may use the information provided on that site in connection with entering into or performing a transaction with you. For example, this may include sharing information with other parts of ITTA, ITTA’s business partners, customers, shipping companies, financial institutions and postal or government authorities involved in fulfillment. It may also be used to administer and develop our relationship with you, the supplier you represent, and other ITTA suppliers generally. ITTA acts as a global organization with business processes, management structures and technical systems that may cross borders. As such, we may share information about you within ITTA and transfer it to countries in the world where we do business in connection with the uses identified above and in accordance with this Privacy Statement. Our Privacy Statement and our practices are designed to provide a globally consistent level of protection for personal information all over the world. This means that even in countries whose laws provide for less protection for your information, ITTA will still handle your information in the manner described here. In some cases, ITTA uses suppliers located in various countries to collect, use, analyze, and otherwise process information on its behalf. It is ITTA’s practice to require such suppliers to handle information in a manner consistent with ITTA’s policies. From time to time, we may disclose information that identifies you at an individual level and which we collected on our Web sites to other non-ITTA entities that are not acting as our suppliers, such as our ITTA business partners. Except as described in this Privacy Statement, we will only do so with your prior consent. We do not sell or lease such information, however, circumstances may arise where, whether for strategic or other business reasons, ITTA decides to sell, buy, merge or otherwise reorganize businesses in some countries. Such a transaction may involve the disclosure of personal information to prospective or actual purchasers, or the receipt of such information from sellers. It is ITTA’s practice to seek appropriate protection for information in these types of transactions. Please be aware that in certain circumstances, personal information may be subject to disclosure to government agencies pursuant to judicial proceeding, court order, or legal process. We may also share your information to protect the rights or property of ITTA, our business partners, suppliers or clients, and others when we have reasonable grounds to believe that such rights or property have been or could be affected. We intend to protect your personal information and to maintain its accuracy. ITTA implements reasonable physical, administrative and technical safeguards to help us protect your personal information from unauthorized access, use and disclosure. For example, we encrypt certain sensitive personal information such as credit card information when we transmit such information over the Internet. We also require that our suppliers protect such information from unauthorized access, use and disclosure. We will retain your registration information for as long as your account is active or as needed to provide you services. If you wish to request that we no longer use your registration information to provide you services contact us. We will retain and use your registration information as necessary to comply with our legal obligations, resolve disputes, and enforce our agreements. As mentioned above, we collect information from your visits to our Web sites and your use of our offerings and our products to help us gather statistics about usage and effectiveness, personalize your experience, and tailor our interactions with you. We do so through the use of various technologies, including one called “cookies”. A cookie is a piece of data that a Web site can send to your browser, which may then be stored on your computer as a tag that identifies your computer. While cookies are often only used to measure Web site usage (such as number of visitors and duration of visit) and effectiveness (such as topics visitors are most interested in) and to allow for ease of navigation or use and, as such, are not associated with any personal information, they are also used at times to personalize a known visitor’s experience to a Web site by being associated with profile information or user preferences. Over time this information provides valuable insight to help improve the user experience. While ITTA Web sites at this time do not recognize automated browser signals regarding tracking mechanisms, such as “do not track” instructions, you can generally express your privacy preferences regarding the use of most cookies and similar technologies though your web browser. Look under the heading “Tools” (or similar heading) in your particular browser for information about controlling cookies. You can set your browser in most instances to notify you before you receive a cookie, giving you the chance to decide whether to accept it or not. You can also generally set your browser to turn off cookies. Cookies in our software products can be turned off in the product itself. Since cookies allow you to take advantage of some of our Web sites’ features or features of our software products and offerings, we recommend that you leave them turned on. If you block, turn off or otherwise reject our cookies, some Web pages may not display properly or you will not be able, for instance, to add items to your shopping cart, proceed to checkout, or use any Web site services that require you to sign in. Some ITTA Web sites may also use Web beacon or other technologies to better tailor those sites to provide better customer service. These technologies may be in use on a number of pages across ITTA’s Web sites. When a visitor accesses these pages, a non-identifiable notice of that visit is generated which may be processed by us or by our suppliers. These Web beacons usually work in conjunction with cookies. If you don’t want your cookie information to be associated with your visits to these pages or use of these products, you can set your browser to turn off cookies or turn off cookies in the product itself, respectively. If you turn off cookies, Web beacon and other technologies will still detect visits to these pages; however, they will not be associated with information otherwise stored in cookies. ITTA may deliver third party online advertisements on our Web sites and we advertise our products and services on others’ Web sites. Please familiarize yourself with those Web site operators’ or network advertisers’ privacy policies to understand their practices relating to advertising, including what type of information they may collect about your Internet usage. Some advertising networks we may use may be members of the Network Advertising Initiative (NAI). Individuals may opt-out of targeted advertising delivered by NAI member ad networks by visiting www.networkadvertising.org. To allow you to interact with other Web sites on which you may have accounts (such as Facebook and other social media sites) or join communities on such sites, we may provide links or embed third-party applications that allow you to login, post content or join communities from our Web sites. We may also provide you with general links to non-ITTA Web sites. Your use of these links and applications is subject to the third parties’ privacy policies, and you should become familiar with the third party sites’ privacy policies before using the links or applications. ITTA is not responsible for the privacy practices or the content of those other Web sites. In certain cases, you may have the ability to view or edit your personal information online. In the event your information is not accessible online, and you wish to obtain a copy of particular information you provided to ITTA or if you become aware the information is incorrect and you would like us to correct it, contact us. Before ITTA is able to provide you with any information or correct any inaccuracies, however, we may ask you to verify your identity and to provide other details to help us to respond to your request. We will contact you within 30 days of your request. As a member service and within the restricted area of the member website, ITTA acts as a broker and host of open source and unclassified material derived from government agencies, experts, commercial providers, members and open sources. The exchange of information hosted by ITTA does not reflect any Government view or policy nor does it reflect the views held by ITTA and is moderated by ITTA but not fully subjected to ITTA editorial standards. As some material contained and hosted by ITTA may be copyrighted, any reproduction, dissemination, or use is subject to both ITTA policy and any original copyright. It is the policy of ITTA that information hosted and exchanged as part of its member service be limited to persons performing intelligence, military, law enforcement and security duties in support of Homeland defense and security. The information contained therein should not be released in whole or in part to the general public. The system, software and equipment is intended solely for secure communication, transmission, processing and storage of open source and unclassified material and information between members performing intelligence, military, law enforcement and security duties in support of Homeland defense and security. The information contained therein should not be released in whole or in part to the general public. 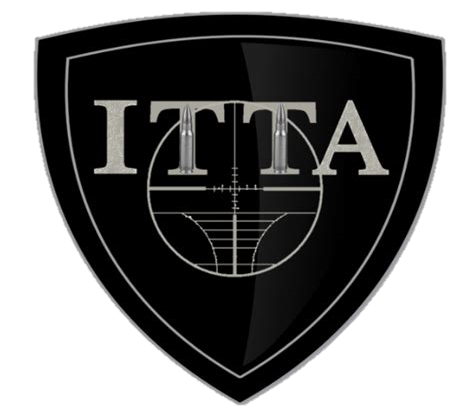 For site security purposes and to ensure that this website remains available to all authorized users, ITTA monitors the site to identify unauthorized uses. Anyone using this website expressly consents to such monitoring. Unauthorized uses (e.g. improper attempts to modify any information stored on this system, to defeat or circumvent security features or to use this system for other than its intended purposes) are prohibited and may result in criminal prosecution. Unauthorized attempts to upload, modify, change, and/or delete information on this system are strictly prohibited and are subject to prosecution. If site monitoring reveals information indicating possible criminal activity, such information may be provided as evidence to law enforcement personnel. Content available via the restricted areas of the member website must not be disseminated to the public. All such content is to be treated as confidential and copyrighted material and is provided for authorized member use and purposes only. Such purposes may include rebroadcast, redistribution, dissemination, copying, and hyper-linking provided it is for permitted, official and sanctioned ITTA purposes only. Any removal or redistribution of content outside of the official channels of ITTA requires the advance authorization of ITTA. Information under the control of external websites to which ITTA may provide hyperlinks may have separate restrictions and shall be accessed only in accordance with any usage policies and restrictions applicable to those sites. Authorized system users may use the content available via this website to support the official business of members in performance of intelligence, military, law enforcement and security duties in support of Homeland Defense and security. System users who are members or partners (e.g. those who have a formal relationship with ITTA), may also use the content, as authorized by ITTA, to support their official business and must use a password-protected and encrypted email system. Contractors with access to this site may only have that access during the time period as required to fulfill their contract responsibilities. Authorized system users who have been granted access to this website may not share account user IDs and passwords with anyone. Persons or entities granted access to the restricted members website understand, accept and affirm that information regarding other listed members is highly confidential and cannot under any circumstances be used for rebroadcast, redistribution, dissemination or otherwise copied. Other authorized partners may use content from the ITTA public website as authorized by ITTA on an internal network, such as a local area network for official purposes only. ITTA must be cited as the source of any information, photos, and images copied from this site. All information identifying the original source of this material must be retained, including any photo credits or bylines. Copyright permission for broader dissemination and distribution to the public when authorized will be verified through World News Connection (WNC) via the Dialog search service at http://wnc.dialog.com. For general WNC questions or searching, please call 1-800-3-DIALOG. Users of this system are authorized to access and use content only in accordance with applicable law and directives (e.g. E.O. 12333, U.S. copyright law, the Privacy Act of 1974). If you have questions about the policy governing use of the ITTA website, please contact us via email at info@ittacorp.org or by telephone on 878-221-4882 (ITTA). For questions regarding use of the content on ITTA for anything other than lead purposes, please contact ITTA legal counsel at info@ittaonline.org.